With the 32- bit micorcontrollers becoming popular and also the kits/boards available at affordable prices, we at EE Herald bringing you new modules on embedded systems design practice. The idea is to provide you the inexpensive 32-bit MCU based latest hardware boards. We have selected ARM Cortex M0 based boards: LPCXpresso development board from NXP Semiconductors and STM32F0 Discovery from ST MIcroelectronics. Both the boards we have suggested here are available in India. 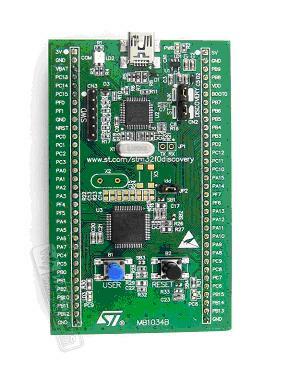 Below is the installation and program execution guide for STM32F0 Discovery from ST MIcroelectronics. 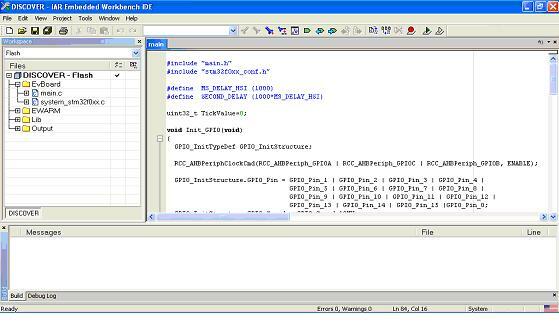 STM32F0 board is supported by 3rd party software development environment from IAR. Operating System: Windows PC (2000, XP, Vista, Windows 7). 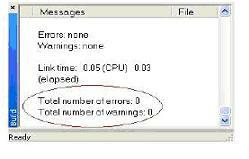 System RAM: 512 MB minimum (1 GB recommended). Hard Disk: 20 Gb of available space. Internet Connection: High-speed internet is recommended to download and register the software . 1. 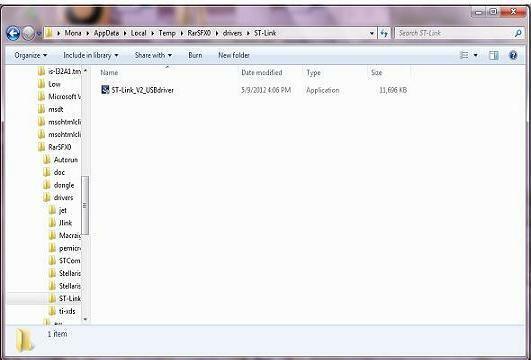 You got to download the file EWARM-KS-CD-6403.exe of size 812MB from IAR website, First step here is to visit http://supp.iar.com/Download/SW/?item=EWARM-KS32 and create account using your email id. 2. License Number AND License Key will be sent to your e-mail. And Download option is also sent to email id. 3. 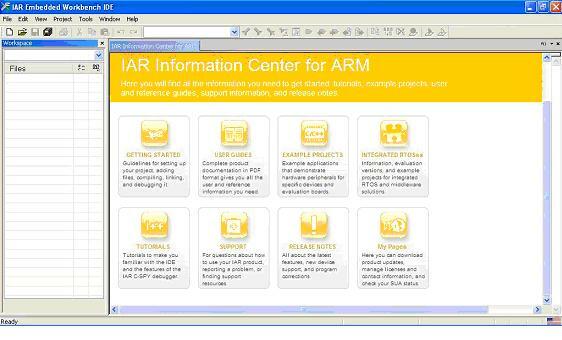 As per the download instructions, download the software from IAR website. It takes 2-3 hours with average broadband speed. 4. Save License Number and License Key, while installing it is required. 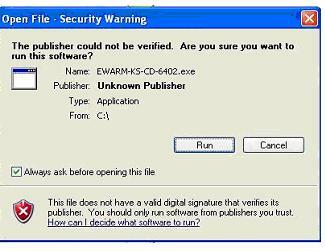 Double click the EWARM-KS-CD-6403.exe file and follow the instructions. 4. 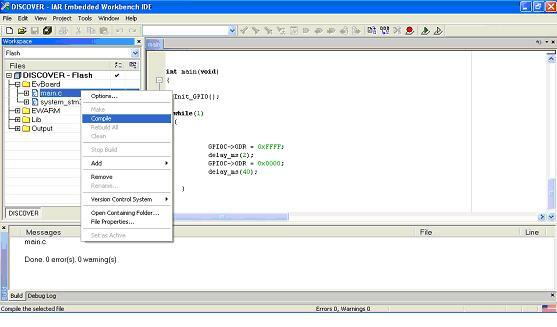 Click on the text "Install Drivers"
You will be taken to a folder containing list of drivers for microcontrollers. 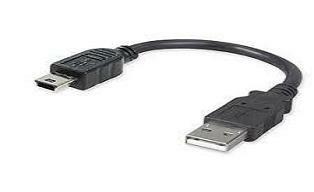 Click on the sub-folder 'ST-Link' and you will see a file named "ST-Link_V2_USBdriver.exe". select this file to install the driver. Follow the steps suggested by the installation program. 5.Next install IAR Embedded Workbench also. While installing it will ask for License Number and License Key, enter that data. 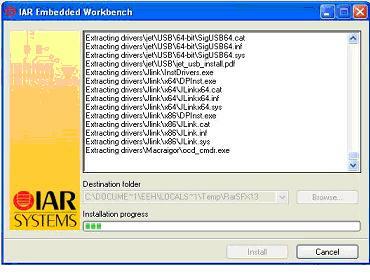 The installation takes long time, wait for some time (in slow systems it even takes an hour). 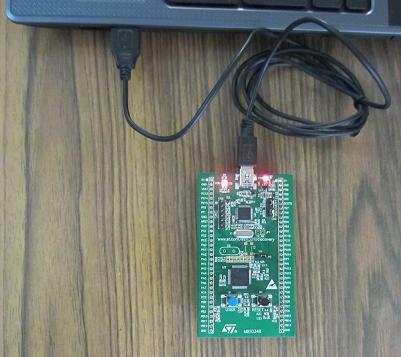 Before running your application, you should establish the connection with the STM32F0DISCOVERY board with the computer (USB port of desktop/laptop)as shown in the picture below. 1.Open IAR Embedded Workbench IDE tool. 3. 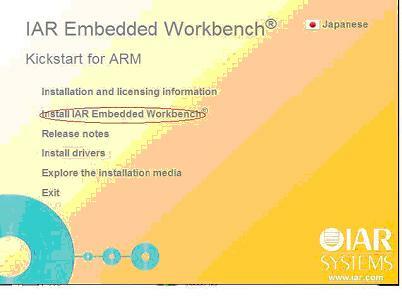 Then select" C->Program Files->IAR Systems->Embedded Workbench 6.4 Kicktstart->arm->examples->ST->STM32F05X->STM32F0-DISCOVERY->Project " select DISCOVER Open it. 4.You will see window as shown below. 5 . 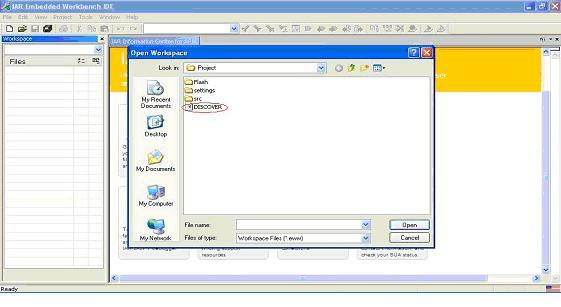 In the Project menu, select to compile your project. 6. If your project is successfully compiled, the following window is displayed. 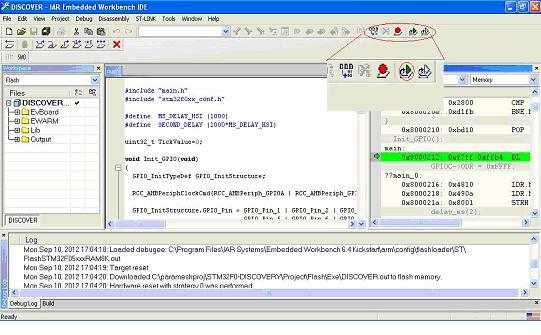 In the IAR Embedded Workbench IDE, from the Project menu, select Download and Debug or, alternatively, click the Download and Debug button the in toolbar, to program the Flash memory and begin debugging. Then press the go button as shown in bellow fig.